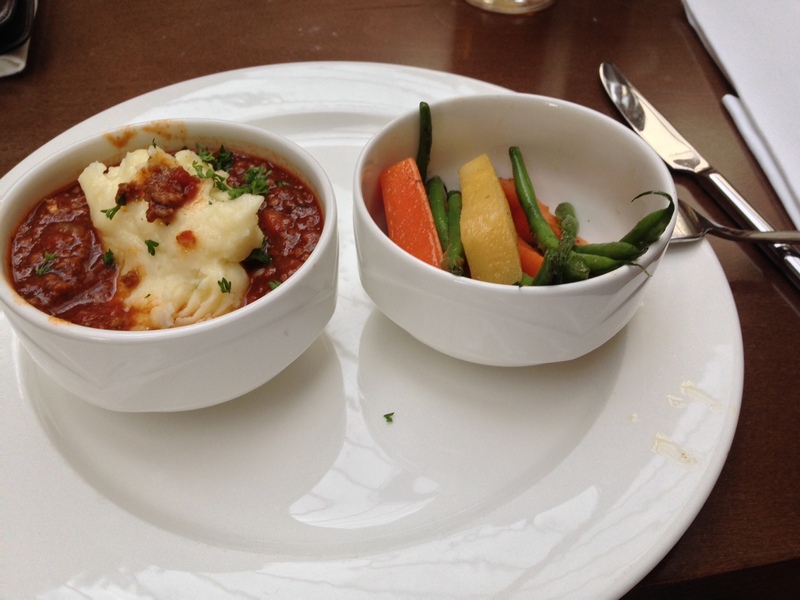 Could this be the Smallest portion of Cottage Pie ever? On a recent business trip I stayed at the Dalmahoy Marriott hotel, a pleasant hotel about 8 miles from the Edinburgh city centre. I ate my meal in the bar area, called Zest, where one might either have a drink or have a normal dinner. 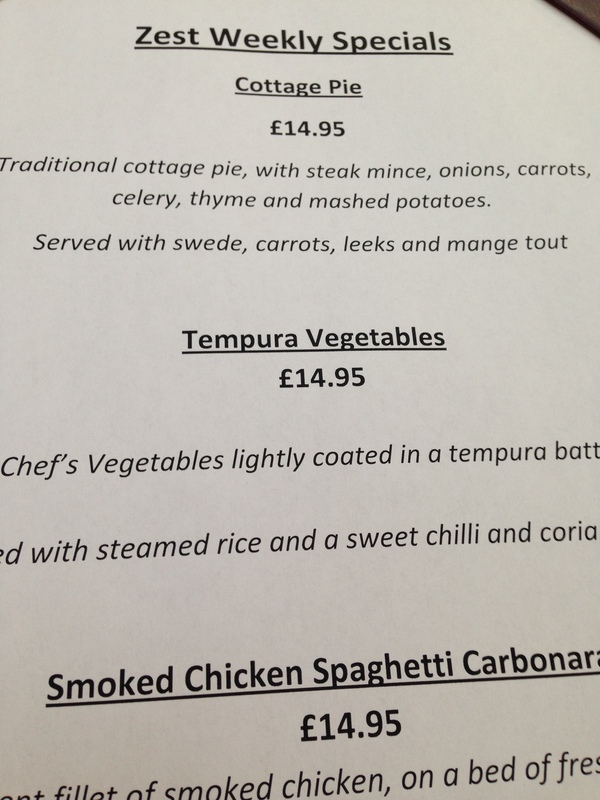 My choice was Cottage pie, allegedly ” traditional cottage pie”. 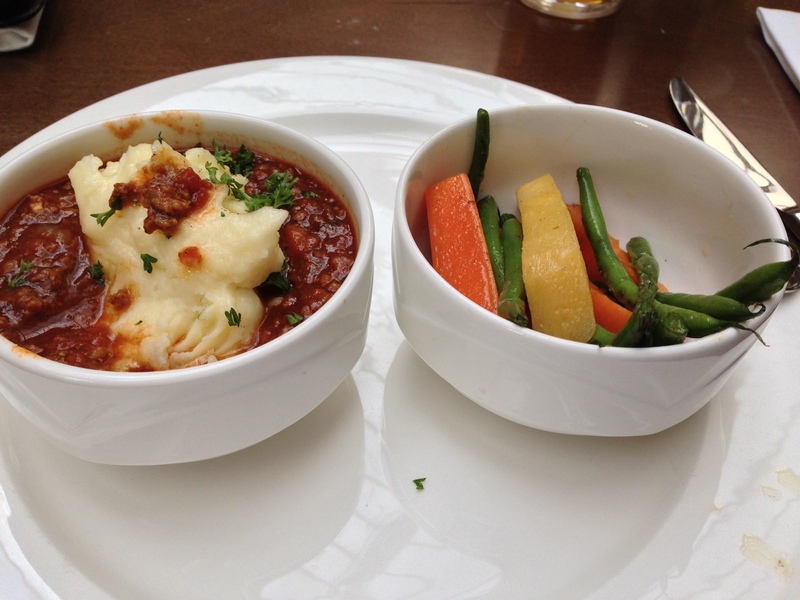 The cost 14.95£ which for me is fairly high firstly for cottage pie and secondly for any meal in a kind of bar, that does not equate to Gastropub by any stretch of imagination. Please judge for yourself if this size portion is reasonable and feel free to pass this onto your friends too. The plate is shown clearly and is a small dinner plate!